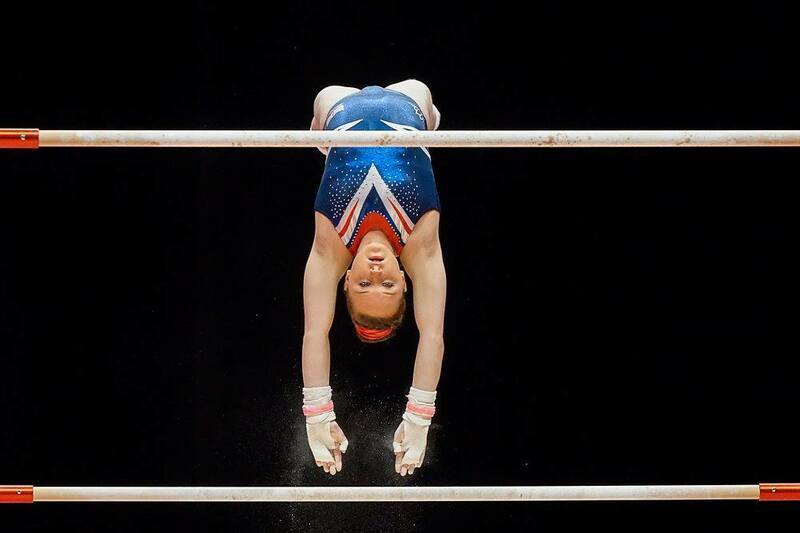 Yesterday saw the start of podium training from the Hydro Arena, and being as they are drawn to compete on the first day of competition, the British Team took to the podium in the fourth group, mirroring their schedule for qualifications day. Other than a couple of exploding lightbulbs, one of which was bravely put out by the Romanian coach, the arena is fantastic with just enough pink to make first year senior, and South Durham PInk Lady Amy Tinkler feel right at home. You may notice the lack of judging tables around the podiums, there is a completely new set up for the judges at this championships. Instead of being right next to the apparatus looking up at the gymnasts, they have been set back from the competition floor of the area, at eye level to the action. Steve Butcher head of the FIG Men’s technical committee had this to say about the new arrangement. I do actually like the idea, the judges being at the level of the gymnasts seems more logical especially when evaluating leap positions, degrees of rotation, angles of turns and casts on bars, height on releases ect. All the vital intricacies that go into awarding D score and calculating E score that are so essential to get exactly right. Podium training allows the gymnasts to get a feel for the arena, get used to the layout, the lights, and most importantly test the apparatus which can have a different feel, and at times reaction to that in the training hall. 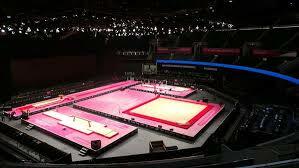 Floor especially can vary, but bars can have different amount of bounce, and springboards for vault can also vary. 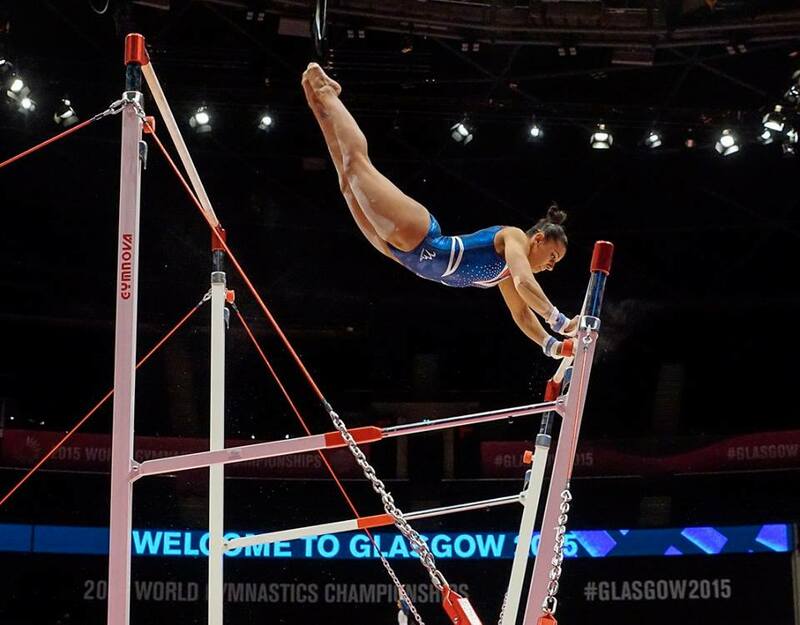 The session gives the chance to go round the apparatus in the order they will compete, allowing the opportunity to make final preparations, and any small adjustments needed ready for qualifications. Podium was mostly a full success for the British team with some great gymnastics by all the girls. As with every team, there were just a few mistakes, but nothing that can’t be ironed out back in the training hall before Friday.